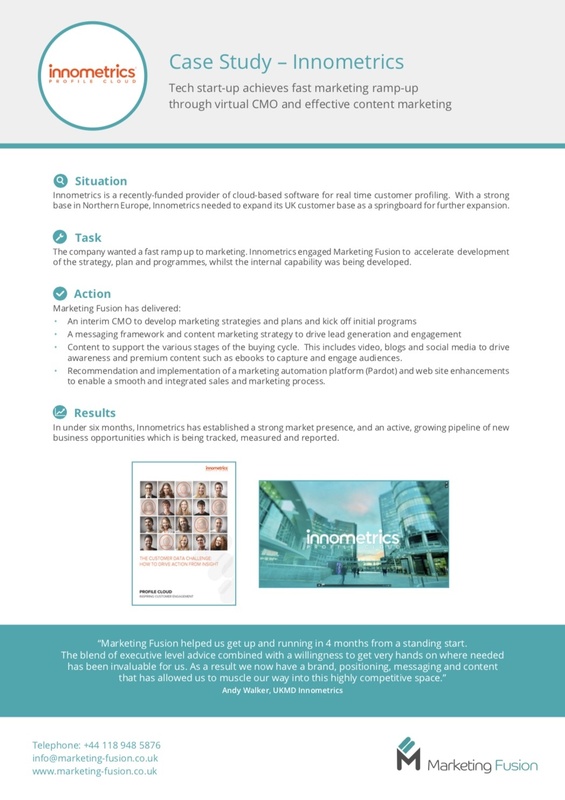 We’ve taken a selection of our client projects to provide you with an overview of the campaigns, projects, and content that we get involved in. If you don’t see what you need or have a particular question, email us. 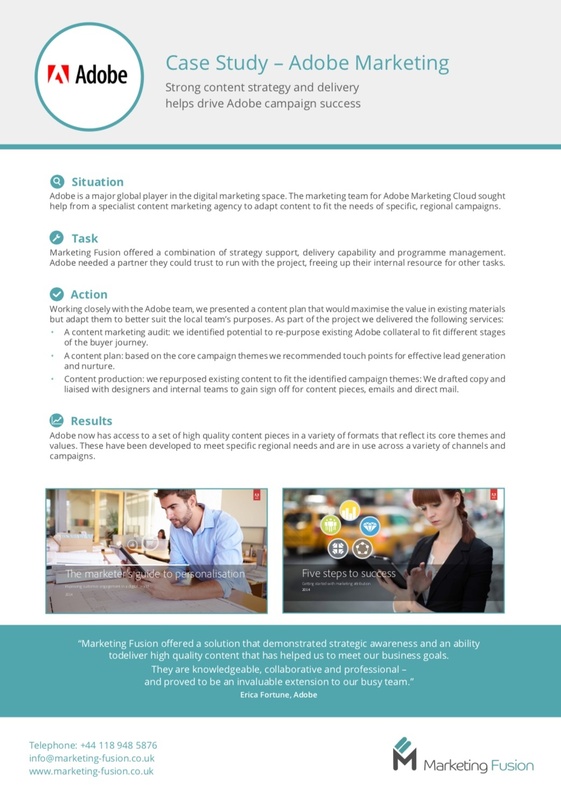 A major global player in the digital markeitng space, the marketing team for Adobe Marketing Cloud needed help to adapt content ready for regional campaign roll-out. Arkivum is a fast-growing technology startup that specialises in digital data archiving. 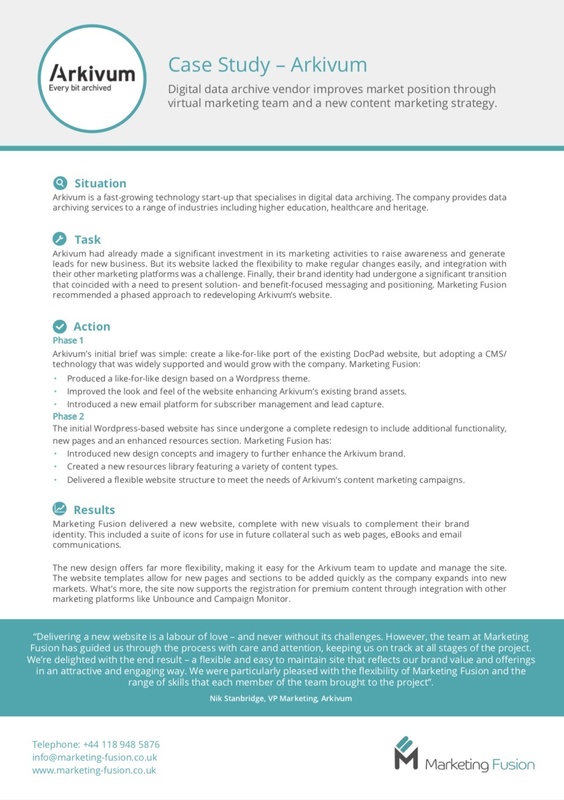 Arkivum sought out a marketing service which would give them all the knowledge and expertise of a full marketing team on an outsourced basis. Arkivum is a fast-growing technology startup that specialises in digital data archiving. 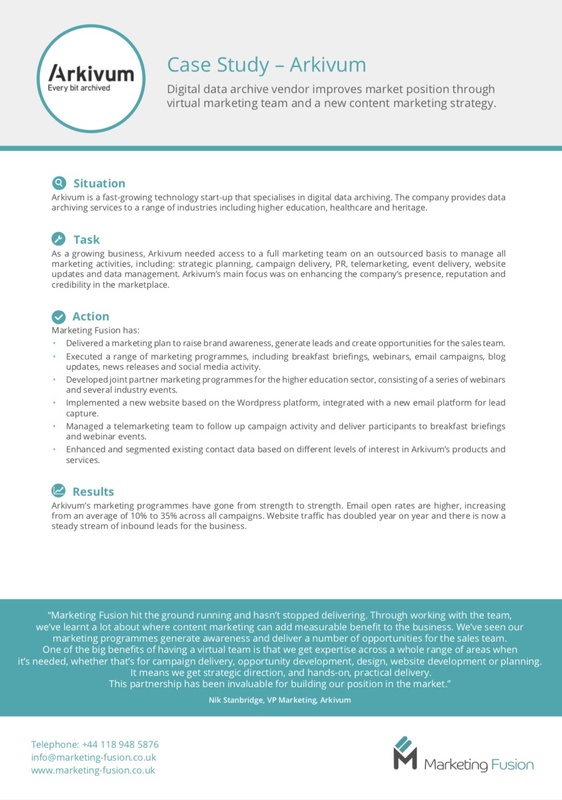 As part of the new marketing strategy, Arkivum needed a new website that would allow greater flexibility and control for regular updates, content and integration with other platforms for lead generation. FireEye is a global security vendor. 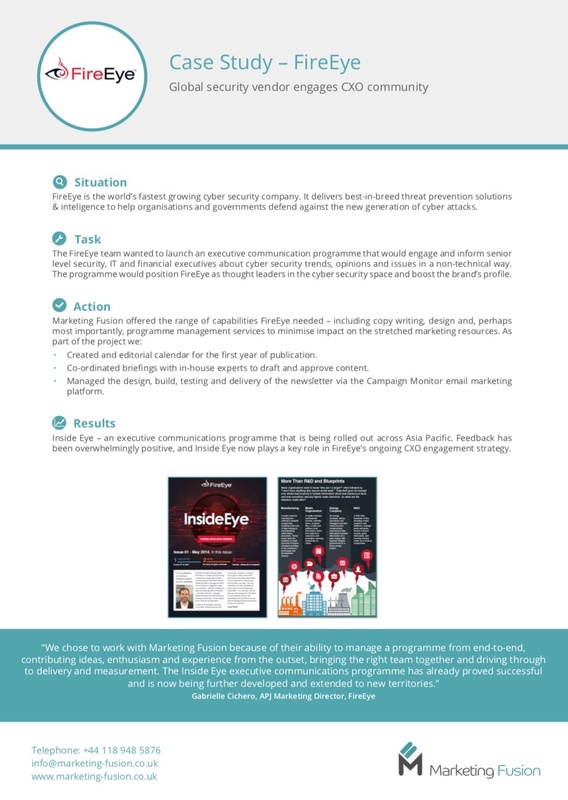 Read how FireEye needed a new executive communications’ programme to drive engagment with its C-suite customers and prospects. As a new international start-up, Innometrics need a fast ramp-up of their marketing strategy, plan and tactics. 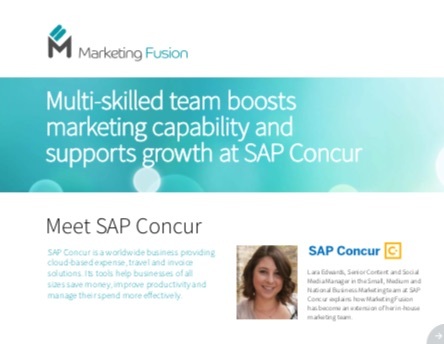 SAP Concur is a worldwide business providing cloud-based expense, travel and invoice solutions. 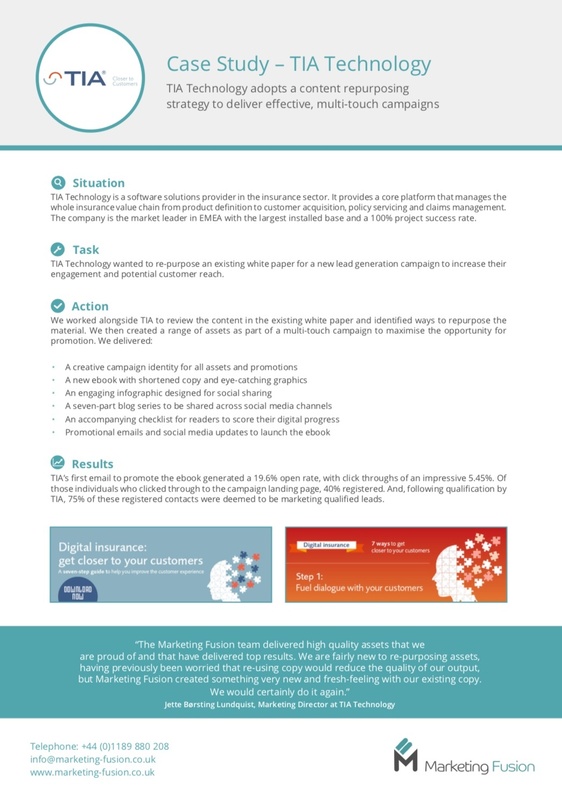 Find out how Marketing Fusion worked with the creative team in order to meet ambitious growth targets. TIA Technology wanted to be able to update and revamp some of its existing content in order to increase engagement and potential customer reach.